This week has been a toasty one here on the Frame Loop: we’ve shared our favourite flame-singed music, films and artworks, and discussed the whole lot on our podcast. Read on for four distinctly fiery literary selections to warm your cockles. Bradbury’s masterwork presents a not-too-distant future in which books are outlawed: for, poems make people pensive and inactive, novels make them depressed, non-fiction presents the public with upsetting facts, and non-readers feel unenlightened and ashamed. A squad of iconoclast firemen hunt all forms of literacy down to scalding them ‘to ashes, and then burn the ashes’. This tightly constructed book is full of imagination and subtle, unforced humour, yet there’s an ominous and unsettling core to the book; the suppression of literacy by political causes, coupled with the (still) growing marginalisation caused by societal shift towards more instant, yet ultimately less rewarding, forms of entertainment. For years, Kurt Vonnegut was certain his recollections of witnessing the firebombings of Dresden as an American POW would write themselves, earning him a surefire bestseller. However, he soon realised ‘there is nothing intelligent to say about a massacre’, and found confronting his memories of serving in WW2 so distressing, that it was twenty three years before his ‘war novel’ was finished. Vonnegut’s descriptions of Dresden’s horrors are evocative, and even pungent. When anti-hero Billy Pilgrim and his fellow POWs surface from a subterranean bunker, they find the bombed city just like the surface of the moon, human bone meal brittle underfoot and the ‘bodies rotted and liquefied, the stink like roses and mustard gas’. What makes the novel more than just a detailed depiction of war, and at all readable is Vonnegut’s singular wit and humanity, which makes SH-F so ultimately memorable. And that’s to say nothing of the inter-planetary time-travel. Inspired by Vonnegut’s haunting war flash-backs, Pilgrim is a passive time-traveller, “in a constant state of stage fright, he says, because he never knows what part of his life he is going to have to act in next”. As if that wasn’t enough, the poor Optometrist is abducted and held hostage on the distant planet Tralfamadore. When Pilgrim attempts to explain this, or any other lesson gleaned from his troubled existence, to those close to him, he finds them unwilling to listen. Pilgrim is a misunderstood and lonely man, and the novel speaks about loss of communication, and the undignified process of ageing, which, Vonnegut tells us, is unbearable, yet inevitable; much like war. In his essay ‘On Writing’, Raymond Carver declares: ‘It’s possible, in a poem or short story, to write about commonplace things and objects using commonplace but precise language, and to endow those things—a chair, a window curtain, a fork, a stone, a woman’s earring—with immense, even startling power’. In his fifty years, Carver explored the odd compulsions of normal Americans, and the strangeness lingering beneath banality through laconic short fiction harnessing a grainy realism. 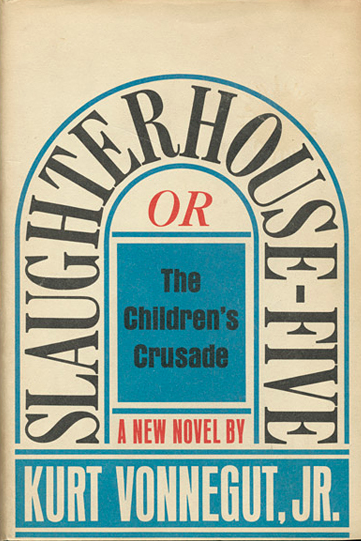 The majority of Carver’s fiction was edited by Gordon Lish, a notoriously strict and invasive editor who was known to cut the author’s work severely, and is reputedly responsible in a large way for the concise and clinical style Carver is so known for. The four essays collected here display a less clipped prose, whilst still recognisably Carver works, affording bare insights into the author’s literary intentions (see ‘Fires’, in which he touches upon the insatiable drive to commit this thoughts to paper), reflections of his own life and work, as well as notes on his father’s struggle with alcoholism ( ‘My Father’s Life’), a condition Carver Jr. would also battle. Accompanying the four essays and fourty-nine poems are seven stories, notably ‘So Much Water So Close to Home’, which formed in Robert Altman’s cinematic adaptation of Carver’s work, Short Cuts. Haruki Murakami’s surreal, cryptic and intricately-crafted novels, featuring a lean prose style in debt to Raymonds Carver and Chandler, has met much acclaim worldwide. However, in his native Japan, it’s his short fiction which he’s primarily known for. ‘When the two of us were together, I could truly relax. I could forget about all the work I didn’t want to do and trivial things that’d never be settled anyway, and the crazy mixed-up ideas that crazy mixed-up people had taken into their heads. It was some ind of power she had. Not that there was any great meaning to her words. Any if I did find myself interjecting polite nothings without really tuning in what she was saying, there still was something soothing to my ears to her voice, like watching clouds drift across the far horizon’. After loosing touch for a short period, the narrator is disappointed to hear that she has a new partner. When the three get together for what turns out to be a cannabis and jazz-fuelled evening in, things take a surreal turn. Her partner, a successful, well-turned out businessman, alludes opaquely to an elaborate pyromaniacal vice. The narrator proceeds to embark on an equally elaborate programme of surveillance, intent on uncovering the truth behind the bizarre claim. 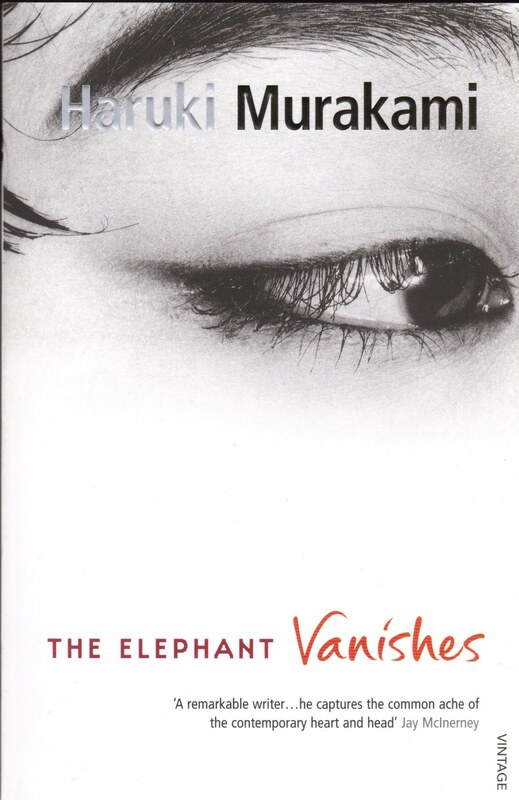 This story displays Murakami’s singular ability to weave together tropes of Noir-era detective fiction, spare yet delicately-observed prose, a creeping absurdity, and a distinctly dry humour. Like the best of the author’s fiction, what results is compelling and addictive. 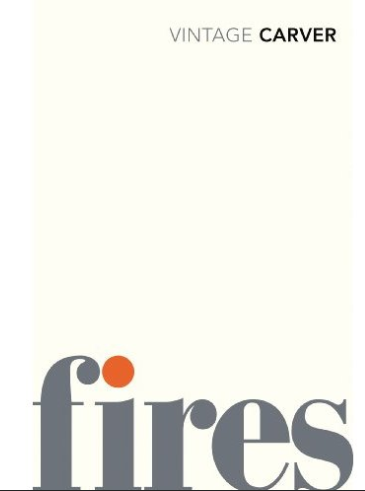 What the heck are your favourite fire-inspired books? Leave us a comment below. Next week’s theme is JUNGLE. Get your suggestions in, now! 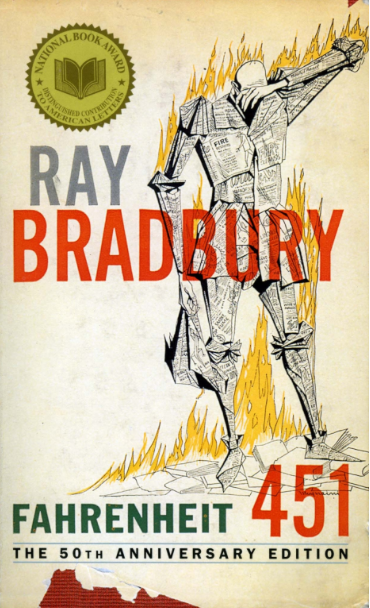 This entry was posted in Literature, Poetry and tagged barn burning, fahrenheit 451, fire, fires, haruki murakami, kurt vonnegut, literature, ray bradbury, raymond carver, rob fred parker, slaughter-house five, the elephant vanishes, the frame loop. Bookmark the permalink.